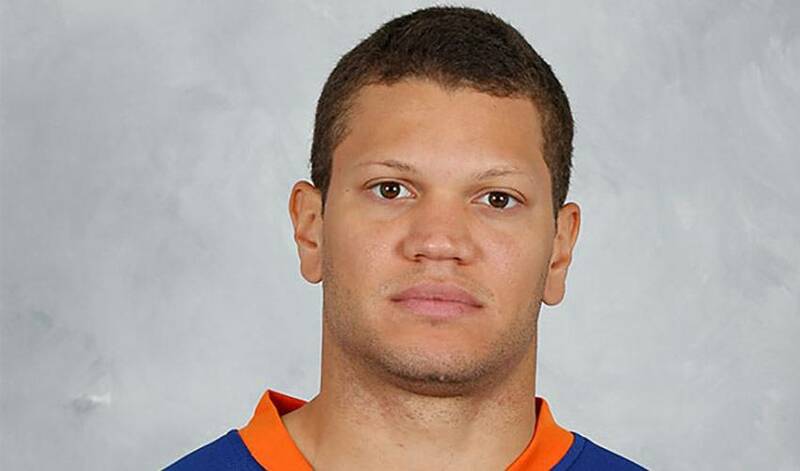 The New York Islanders are having a strong season in the Eastern Conference and Kyle Okposo’s play is making all the difference. The clubs’ second leading scorer this season is coming off a massive week from a production standpoint, tallying 5 goals and 6 points in 3 games. His 5 goals were good enough to tie him for the NHL lead last week and notably included a four-goal game against the Penguins that helped maintain the Islanders’ position near the top of the East. The native of St. Paul, Minnesota continues to grow and mature as a player and the Islanders are reaping the benefits. He is coming into his own while surrounded by a nucleus of teammates that are doing the same. This perfect storm of talent is seeing Kyle excel and push his individual play to new heights. For his offensive production last week and his overall play this season, Kyle Okposo is the NHLPA.com Player of the Week!